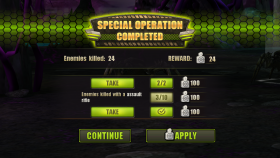 The Iron Beast walkthrough is one of the many Operations Walkthrough in the Evolution: Battle for Utopia game. General information about the Iron Beast operation is Here. Firstly kill the Scaled Sliders , then Giant-Spiders, Acid Bombers, Bombers and lastly the rest of the enemies. – Is the player really using a Bulldog pistol vs. armored threats? I’m at a loss about what I have to do here. I defeated a number of threats, then I obviously succumbed to the challenge. After accepting “Defeat” (instead of spending gems to “Revive”), I was presented by a confusing panel where I could opt for “Continue” or “Apply”. 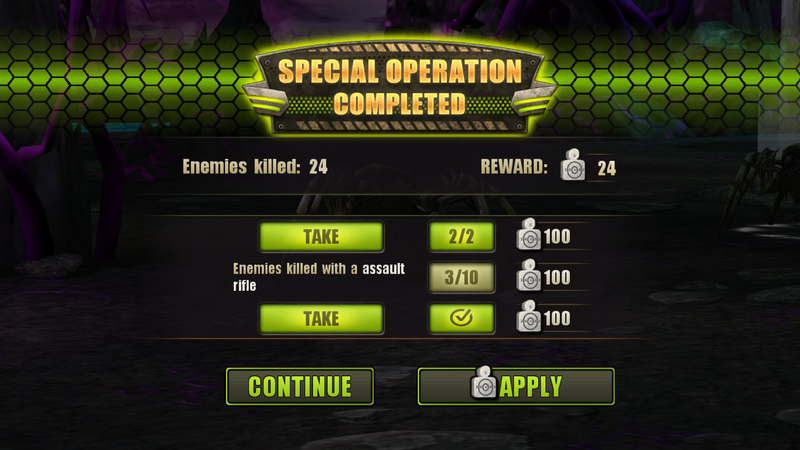 Please, someone has any insight about how this Special Operations are working? omero, that is the list of tasks you need to complete so that you can receive those skill points. At that board you have completed 2 out of 3 tasks which rewarded you with 200 skill point. If you hit continue, the game will will continue as normal and your skill points are accumulated into your, let’s call it, storage of skill points. If you hit Apply, you’ll be redirected to another screen where you are able to spend them right away. Many thanks for clarifying, makes sense now! What about the Video, showing the player taking out armored targets with what looks like the Bulldog pistol. Is that possible? Are you talking about the Scaled/Horny slider? When they are taunting, they are vulnerable to regular weapons! No problem… I’m also a rookie for later stages of the game!